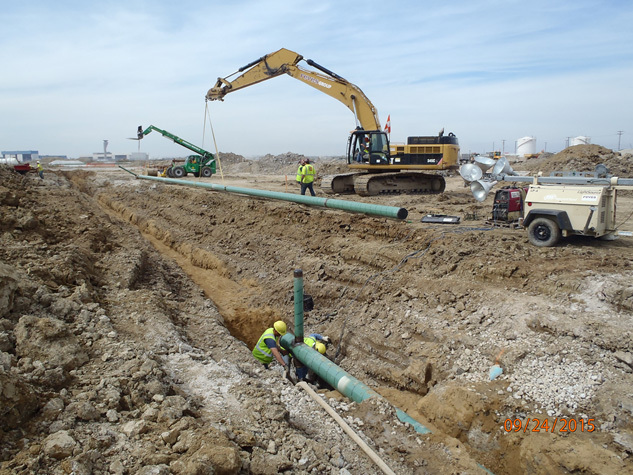 This new airside New Transmission Mains project consists of over 28,000 L.F. of 24" carbon steel interior & exterior coated pipe. 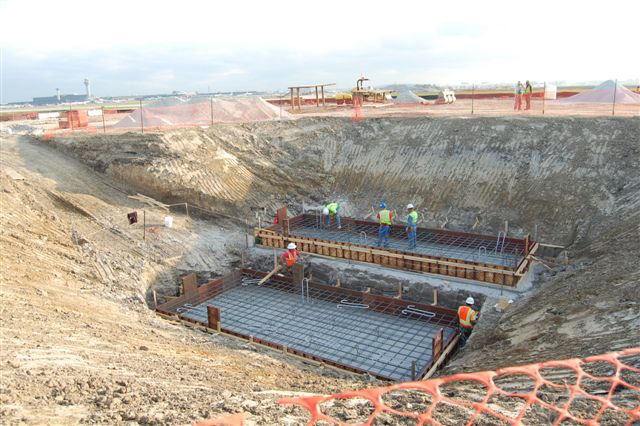 This project is required to facilitate the construction of Runway 9C/27C and its associated taxiway system. 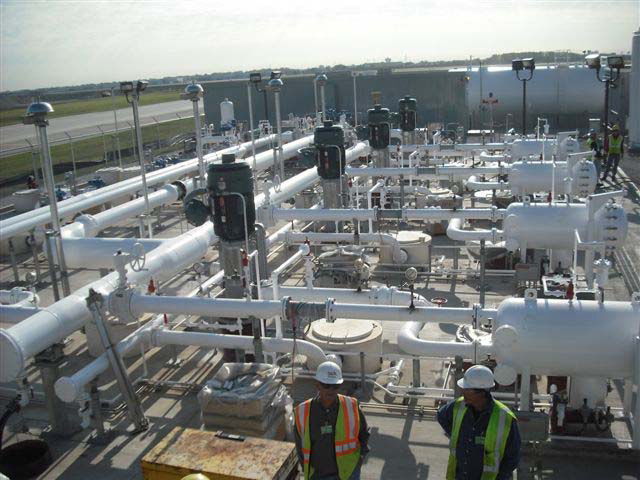 This also includes two (2) 1,400 L.F - 24" pipe lines installed under a taxiway and a runway (horizontal directional bore method), two (2) above ground 24" piping system isolation manifolds, one (1) large isolation valve vault, piping system testing & flushing, cathodic protection and 2,200 L.F. electrical/controls underground duct banks. 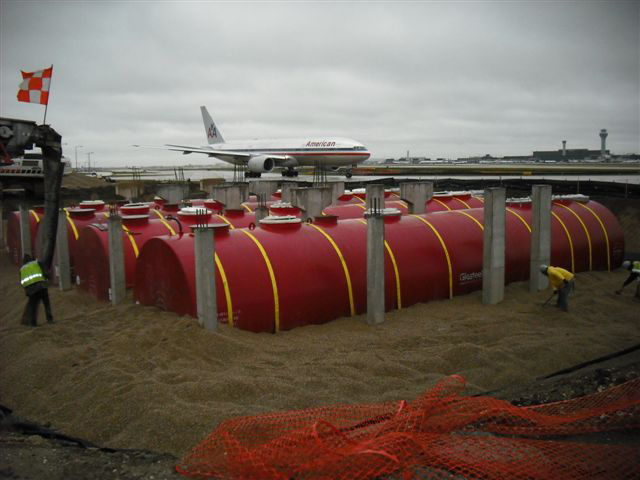 The new transmission piping and related appurtenances originate from the O'Hare Jet-A Fuel Tank Farm and traverses to the Terminal Core Area. 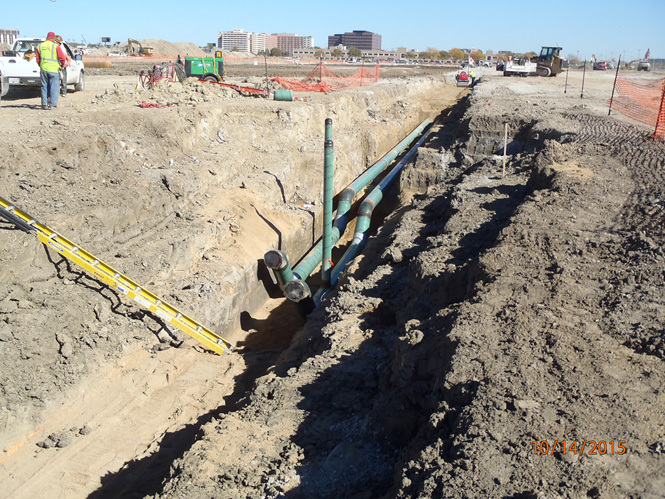 Upon completion of the new work we will remove or abandon (nitrogen fill or slurry) over 18,000 LF of the existing underground Jet-A fuel piping. 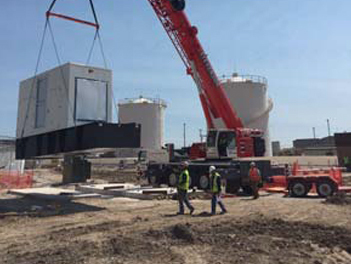 The project scope will ensure the relocated transmission mains are compatible with the overall Jet-A fuel system master plan. 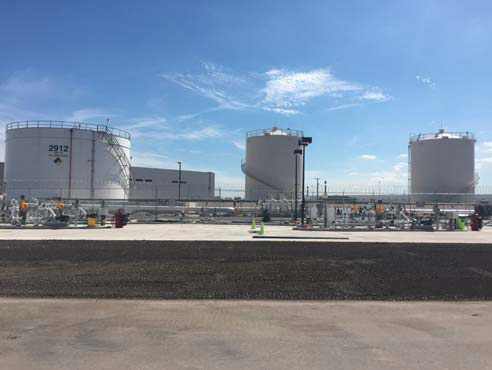 Expansion of the existing Northeast Fuel Farm which will result in a gross storage capacity of approximately 40,000 barrels (1,680,000 gallons) for the new Northeast International Air Cargo Facility Hydrant Fueling System. 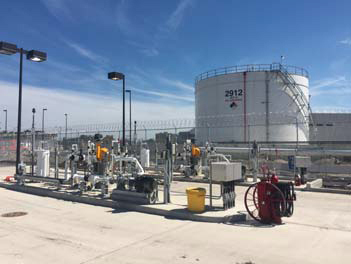 The fuel farm will include the construction of a new 23,000 barrel shell capacity Jet A fuel storage tank, four (4) 1,000 gpm hydrant fuel pumping system and a four (4) position truck offloading facility. 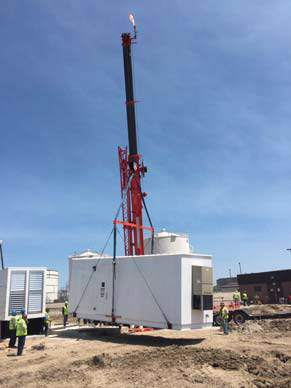 Included are automated pump controls, tank fill and fuel transfer systems. 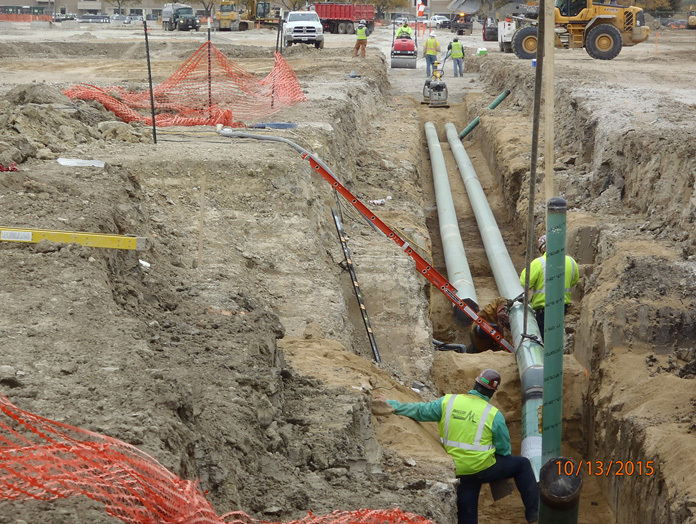 Meccon installed approximately 6,000 LF of 12" Fuel Lines. 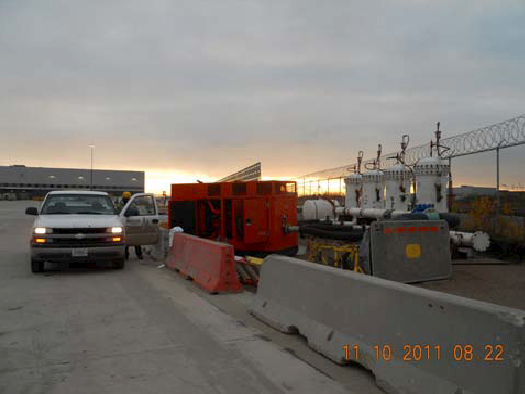 Casings were bored and jacked beneath roadways in-use by the Owner. 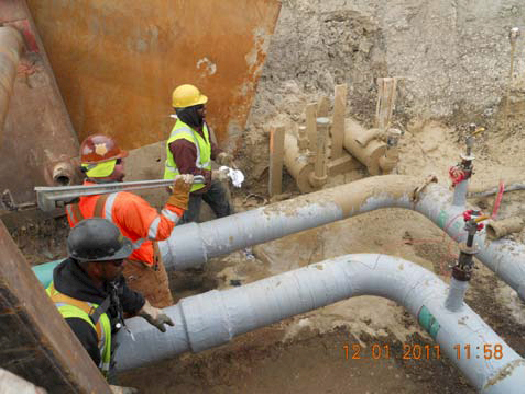 Several tie-ins to existing piping supplied by others. 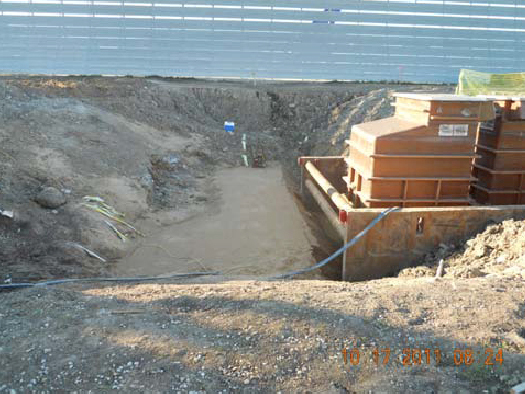 Meccon installed two (2) surge suppressor pits, two (2) isolation valve vaults and several Low and High Point Pits. 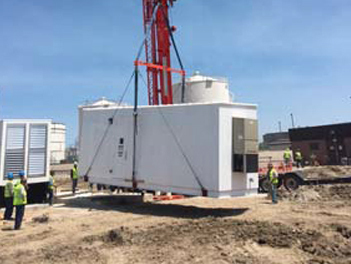 Testing and flushing was a unique operation that involved coordination between Contractor, Owner and Engineer. 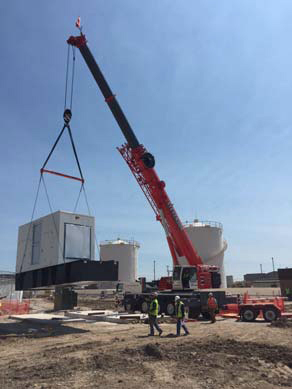 Installation of a new Hydrant Fuel System to serve 11 wide body international gates. 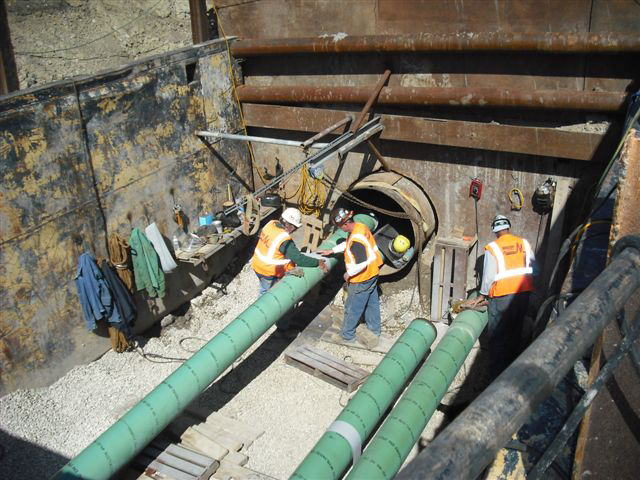 Installation of 3,500' of carbon steel FBE Coate pipe. 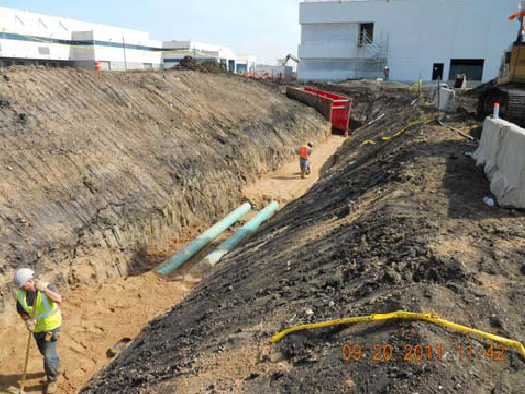 11 Hydrant pits, 3 prefabricated isolation valve vaults, high point vent & low point drain pits. 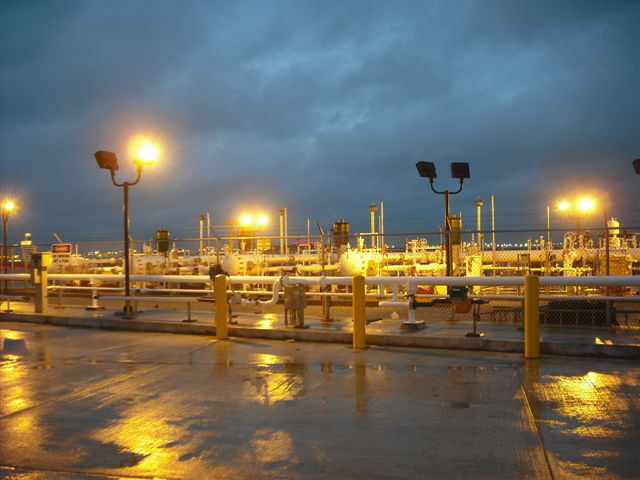 100% NDE Per B31.3 This project was in two phases and pressure tested per phasse with a final pressure test after the two phases were completed. 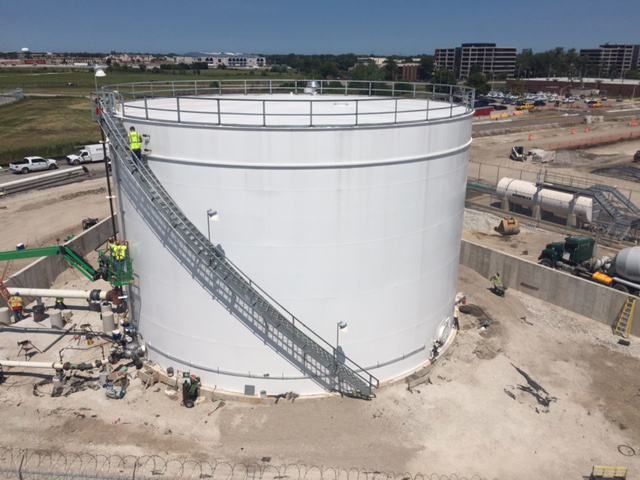 Meccon completed this in coordination with the tank farm Upgrades and were able to successfully Hydrostatic test and flush on time without delays.